After 1 year gap DAC has returned this year and the date has been set for this event. The four invited team for this event are Newbee, Wings, OG, EG and others are still yet to be qualified. We still don't know when the compendium will be released but we can expect it 1 month before the starting month of DAC 2017. DAC 2017 and Kiev major is very close to each other so there is no time to waste for professional teams. 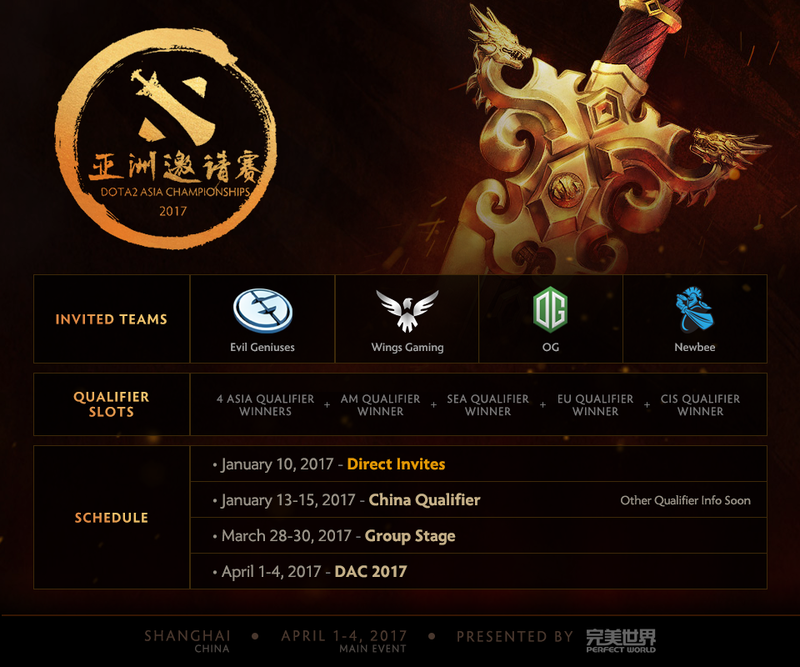 The group stage for DAC 2017 is starting from March 28-30 and April 1-4 is the main event.